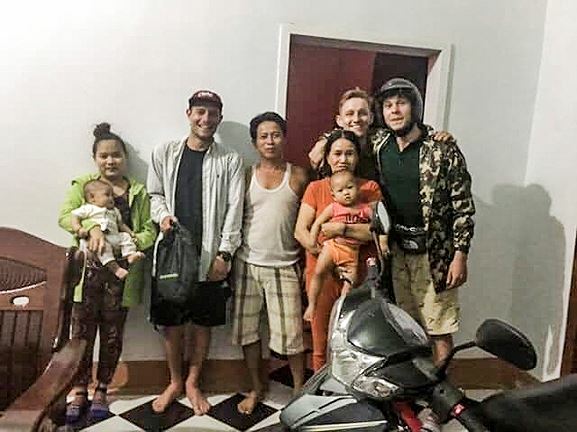 Mr. Tran Van Thanh, an exemplary veteran with difficult life yesterday returned a handbag including VND23 million in cash, a mini camera, a passport, visa, etc with the total value of over VND40 million (US$1,724) to Rupert Toms, a British tourist. The 54 year-old veteran, living in My Thang commune of Phu My district, in the central province of Binh Dinh, said that he casually picked up a black men handbag in the national defense road passing through 8 Dong village on April 6. While contacting functional agencies to find the bag’s owner, his daughter saw on Facebook information share about a British tourist who dropped his property when traveling through My Thang commune. Verification process show that Mr. Toms is the owner of the bag. As this reason, Mr. Thanh and the local authority handed over the intact property to the tourist. Mr. Rupert Toms highly appreciated the kindness of Mr. Thanh's family.